The NASA Science Research Mentoring Program (NASA SRMP) is an established mentoring program that presents the wonders of space exploration and planetary sciences to underserved high school students from New York City through cutting-edge, research-based courses and authentic research opportunities, using the rich resources of the American Museum of Natural History. NASA SRMP consists of a year of Earth and Planetary Science (EPS) and Astrophysics electives offered through the Museum’s After School Program, year-long mentorship placements with Museum research scientists, and summer programming through our education partners at City College of New York and the NASA Goddard Institute for Space Studies. 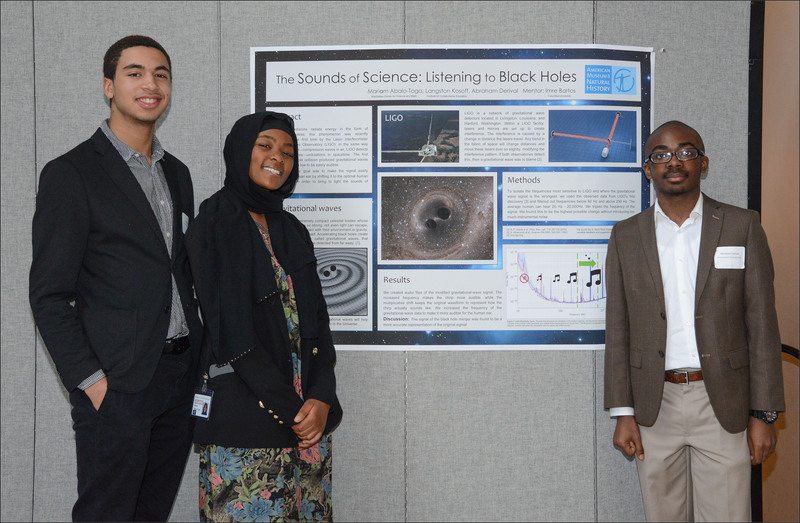 The primary goals of the project are: 1) to motivate and prepare high school students, especially those underrepresented in science, technology, engineering and math (STEM) fields, to pursue STEM careers related to EPS and astrophysics; 2) to develop a model and strategies that can enrich the informal education field; and 3) to engage research scientists in education and outreach programs. The program features five in-depth elective courses, offered twice per year (for a total of 250 student slots per year). Students pursue these preparatory courses during the 10th or 11th grade, and a select number of those who successfully complete three of the courses are chosen the next year to conduct research with a Museum scientist. In addition to providing courses and mentoring placements, the program has produced curricula for the elective courses, an interactive student and instructor website for each course, and teacher and mentor training outlines.